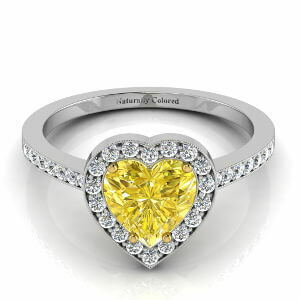 This 1.02 carat heart shaped diamond with good clarity - at VS1 according to the GIA certification - would be a beautiful expression of love in any kind of jewelry piece. 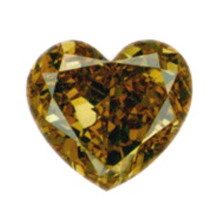 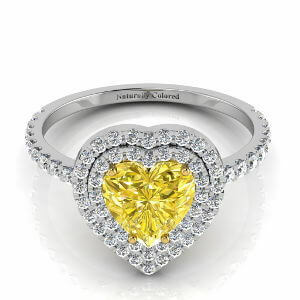 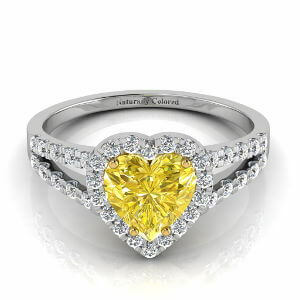 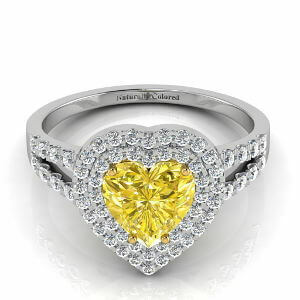 The yellow diamond has a deep brown hue, adding a subtlety to the fire of the primary color. 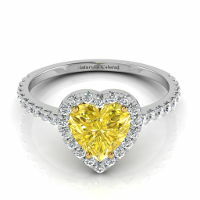 Measurements are 5.84x6.38x3.56.